Welcome to the new IKnowRusty.com! This is going to be the new 4.0 version of IKnowRusty.com. I am using WordPress this time for my website and so far, I love it! 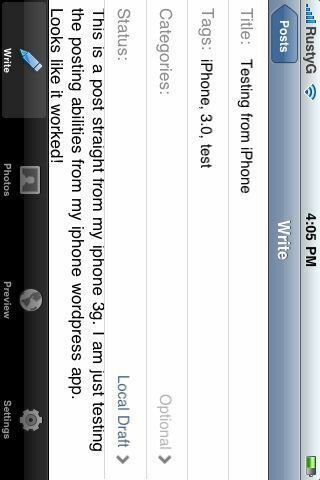 Everything seems to be drag and drop and very easy to put in and I can do it from my iPhone. Hopefully this time, it will be updated daily! So keep up and check back often!! You can have a mighty fancy phone, but it’s only as good as the network it uses and the calling plans available to consumers. Look past the iHype and we think you’ll see a new Sprint with a strong network, appealing new phones and value-priced calling plans. We’ll keep striving to get even better, but we sure hope folks – especially those with contracts elsewhere expiring soon – will give Sprint a look. 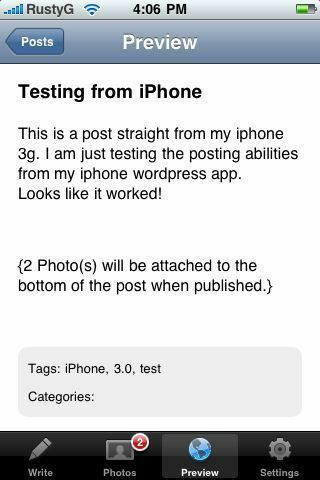 This is a post straight from my iphone 3g. 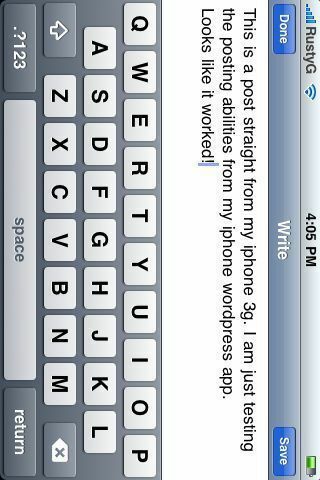 I am just testing the posting abilities from my iphone wordpress app.